Whey you start a new healthcare practice, you often start with creating a name for your business. Then you need a logo design for your letterhead, promotions, signage, and website. You may struggle with dealing with five or six suppliers, finding the right files buried on your computer, and getting frustrated with the whole process! Instead, select a trusted partner with years of experience in graphic design, logo design, and website design, who will manage all the design details for you simply makes your new business life so much smoother. 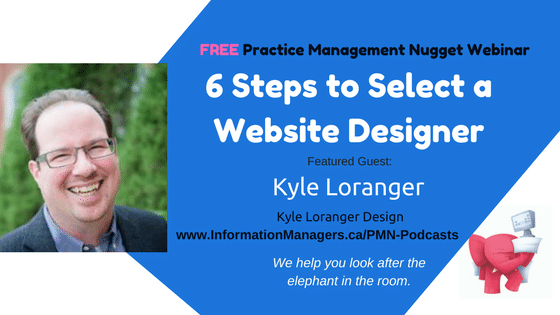 In this Practice Management Nugget Webinar for Your Healthcare Practice, Kyle Loranger of Kyle Loranger Design will discuss his #1 tip to select a website designer – and it's not what you think! Join us for these easy to follow, non-technical steps will help you make good decisions for your healthcare practice. Select how to connect to see the slides and listen to the webinar. 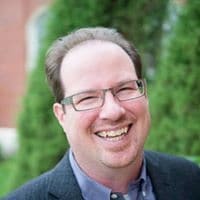 Over the last 20 years, Kyle has worked with hundreds of clients to deliver impactful effective communications and marketing solutions. From logos to advertising, publications to websites, he has delighted his clients with the clarity he brings to every project. Being a studio principal has given him endless opportunities to go behind the scenes in all kinds of businesses. He's seen what makes them tick and what marketing solutions have worked best. Kyle graduated from the University of Alberta in 1993 with a Bachelor of Fine Arts. He and his wife have two growing boys and a basement covered in Lego.